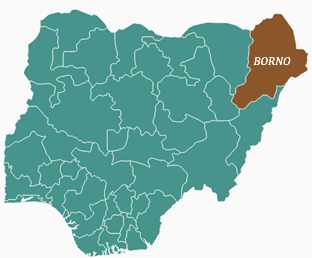 The National Orientation Agency (NOA), Borno, on Thursday began training of 87 local government workers as part of it campaign to stimulate Freedom of Information (FOI), Act in the state. Mr Yahya Iman, State Director, NOA, disclosed this at a workshop in Maiduguri on the appraisal of the Freedom of Information (FOI), Act in the state. Imam said that the enactment of the Freedom of Information (FOI) Act in 2011 was applauded as a milestone in Nigeria as it was seen as big step in the nation’s fight for transparency and accountability in governance. He said that the workshop was designed to expose the participants on aggregated perspectives on using the law in mapping out workable strategies for transparency and systemic accountability in the respective local government area in the state. The director explained that it was necessary for Nigerians to understand the running of the government, principle of honesty, probity and integrity among the people and the government. “This will avail the citizenry with opportunity to make public officers accountable to their electorate,” Imam said. In his remark, Prof. Abubakar Ma’azu, Head of Department Mass Communication, University of Maiduguri, said the FOI Act had recorded tremendous successes in public institutions in the country. “The first success is the fact that we have the law and the second success is the fact that it compelled public institutions to provide the needed information on what the citizenry should know. “The law is helping to strengthen open democratic space for better and quality leadership. “It gives the citizens the opportunity to challenge policy makers and demand for good governance,” he said. He lamented that despite enactment of the law, some public office holders continued to withhold information, while others have complied by publishing some of their activities that people needed to know on their website. He mentioned some of the challenges hindering compliance to the Act to include, capacity gap among information officers, information management, procedures of getting information and making it accessible to the public domain. The post NOA trains 87 LG staff on FOI Act in Borno appeared first on Vanguard News.